The Sleep Elemental is a nice monster. He's the one living under your bed, whom you were afraid of, once you were a child. 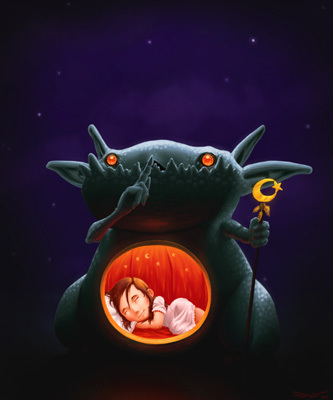 He protected, and still protects you every night from those bad dreams and real monsters. Next night, put some candy under your bed for him, he loves them. "Sleep Elemental"